Visitors to Andorra will invariably be amazed at how much there is to see and do in such a small country, with an abundance of scenery, sports, culture and history to enjoy. Among the fine and historic buildings of the country is the Church of Santa Coloma, which dates back to the tenth century, or possibly earlier. It is located in the village of Santa Coloma d’Andorra, which lies just a couple of miles from the tiny capital of Andorra La Vella. Located nearly 1,000 metres above sea level on the slopes of the valley overlooking the Gran Valira River, the village is in an idyllic mountain setting. The church is the oldest in the country, with even its newer parts dating from the 12th century. The oldest parts are pre-Romanesque and the older sections are Andorran Romanesque. Evidence of the former style is manifested in the rectangular nave covered with a quadrangular apse and supported on a wooden structure. The latter elements make up the four-floor Lombardian bell tower. Its circular shape is not uncommon in southern Europe, but it is unique in Andorra. The church walls were also decorated by Romanesque murals that also date from the 12th century, but these were taken out of the country in the 1930s and only returned in 2007. Surviving elements of the interior from the Romanesque period include the Agnus Dei, with an angel on each side, as well as an extended arch with geometric decorations. Some of the furnishings also date from this period, including a wooden bust of Our Lady of Remedies, while the baroque altarpiece is a much more recent addition, being introduced in the 18th century. 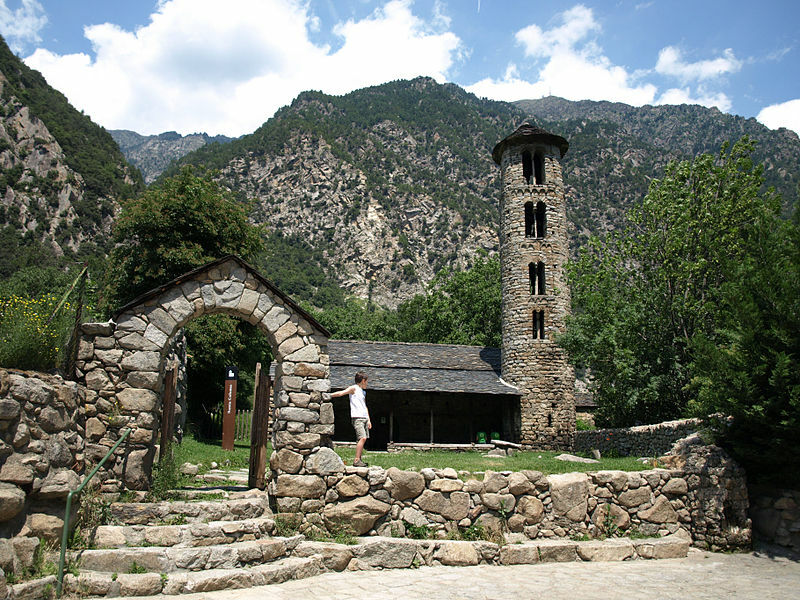 The best time to visit is in the summer, as guided tours are available between mid-July and mid-September, which means an expert will be on hand to point out all the most notable features and detail their history.Summer is also a convenient time to get to Santa Coloma, as the Andorra Tourist Bus on Route 2 visits there from June to September.